The website of our Italian operating company, located in Padova, is now online ! 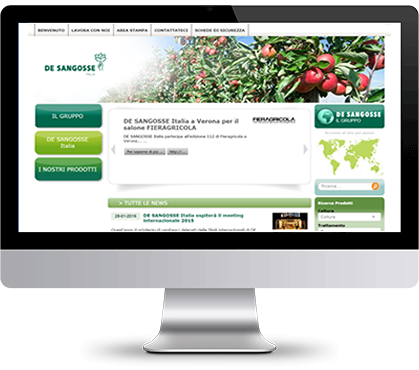 DE SANGOSSE Italy sells to Italian distributors, innovative specialities of plant protection products : conventional, nutrition of crops, biocontrol, mulloscicides, adjuvants and seeds. The new DE SANGOSSE website offers you a modern designe and it's intuitive and ergonomic. You will find videos, interviews, and search engine : All those tools will make it easier for you to access to our services and products. The whole team of DE SANGOSSE Italy welcomes you on his website.